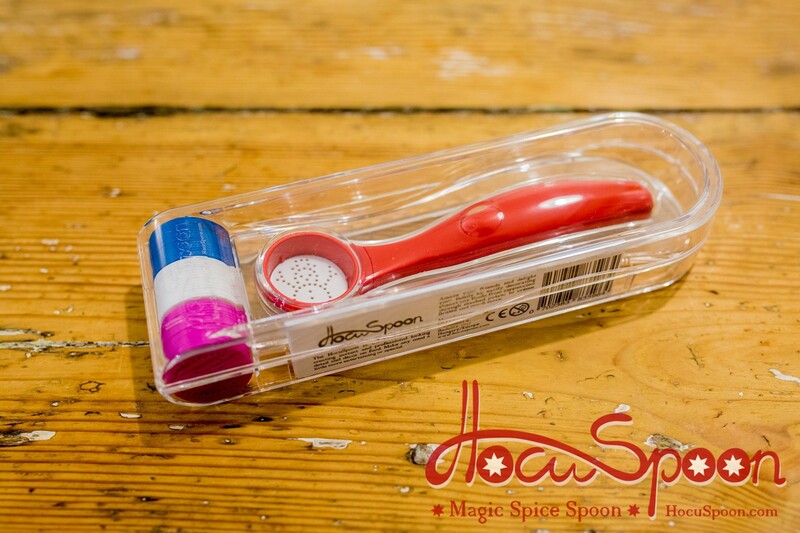 The HocuSpoon is the ideal solution to creating instant and professional looking detail and décor on food. 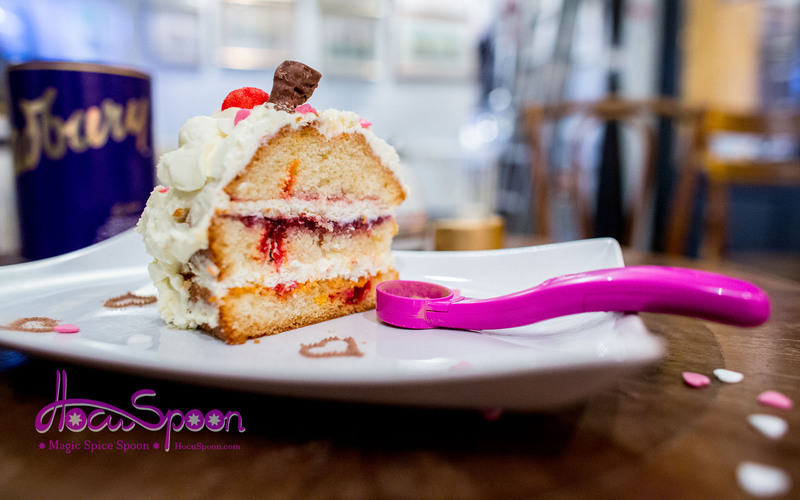 With this you can amaze your friends and delight your family by easily decorating almost any foods from cappuccinos through mashed potato to crème Brûlée and much more. It’s great for kids too. 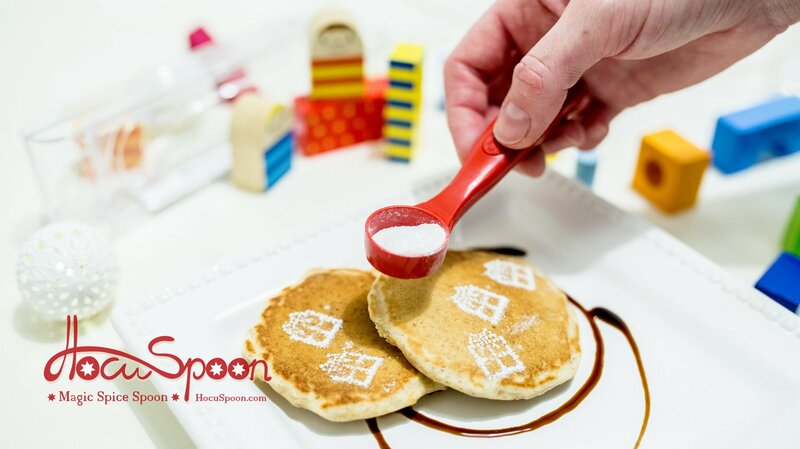 The device is so simple to use that kids can add a picture to their favourite cupcakes or for the fussy eater mom or dad can put more than just a smile on a mashed potato or a favourite meal. 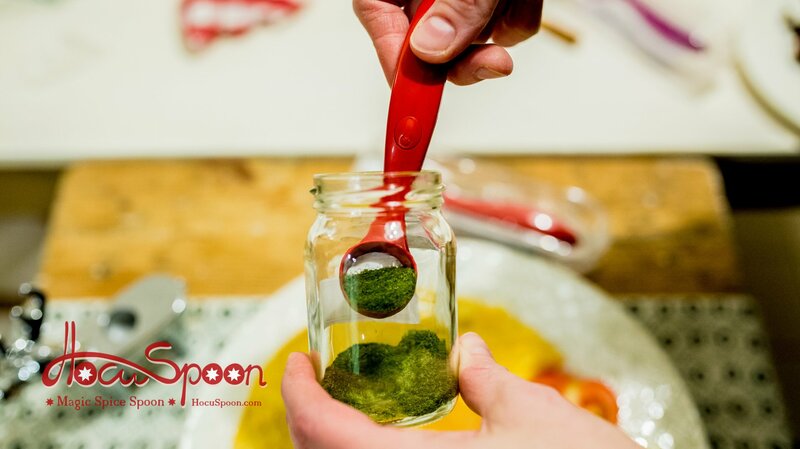 Be part of a revolution in the kitchen! 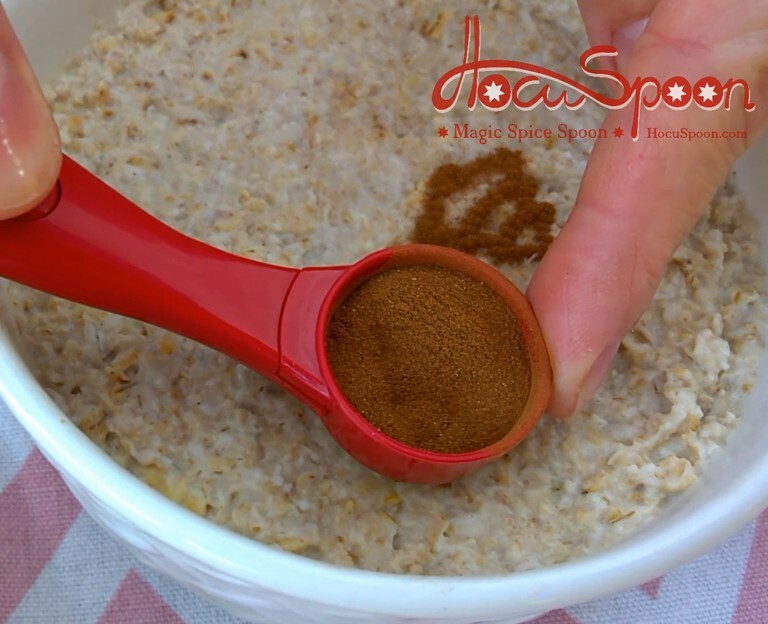 By using the HocuSpoon you can easily add a little flair to your food and make any meal a little more entertaining or special simply by placing your favourite powdered or finely granulated ingredient onto the spoon and sprinkling it on the food. 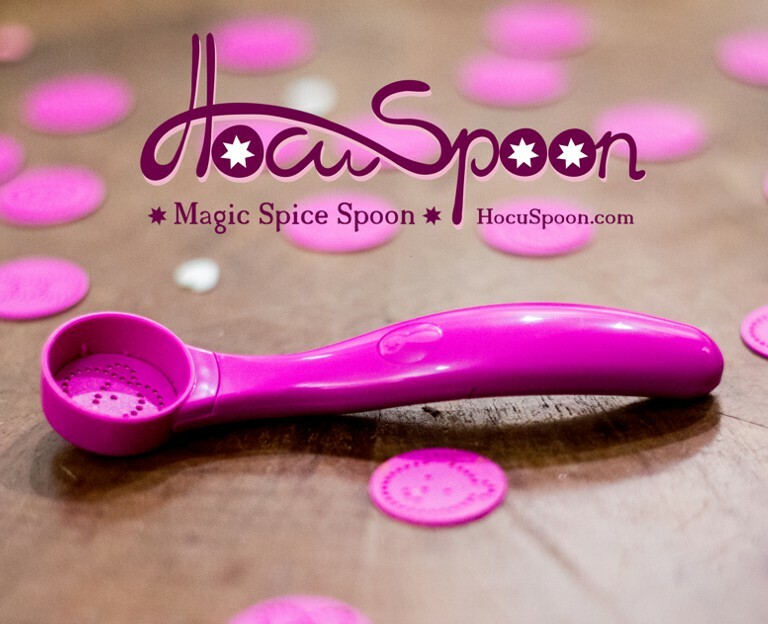 HocuSpoon is simple to operate and requires little maintenance, which means that anyone can use it. You just fill it with ground material, press the button and decorate! Its really an amazing tool!! Congratulation on this creative idea! These were such a hit all the kids wanted one! Just got mine today Reka and it's wonderful! 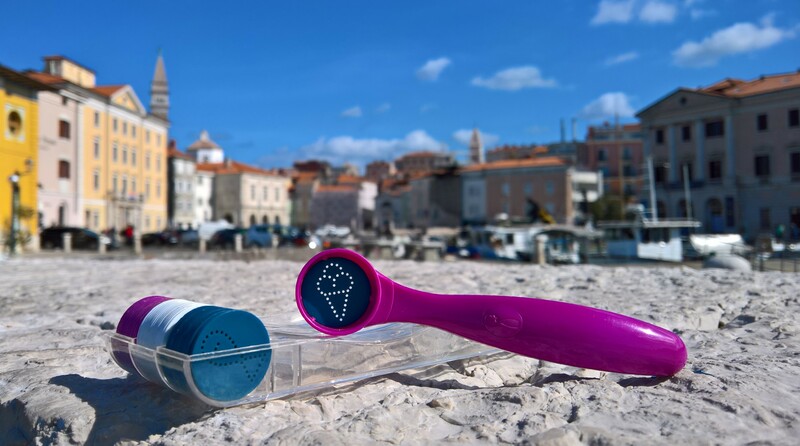 Looking forward to your next product! The "Basic", the "Life" and the "Winter" stencil sets included. Check the first and only spice pen! 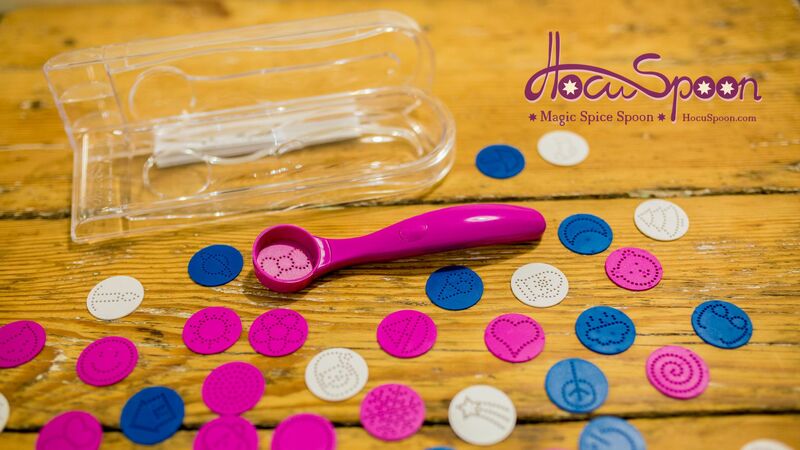 The company behind HocuSpoon is OLIARTS Studio Bt. 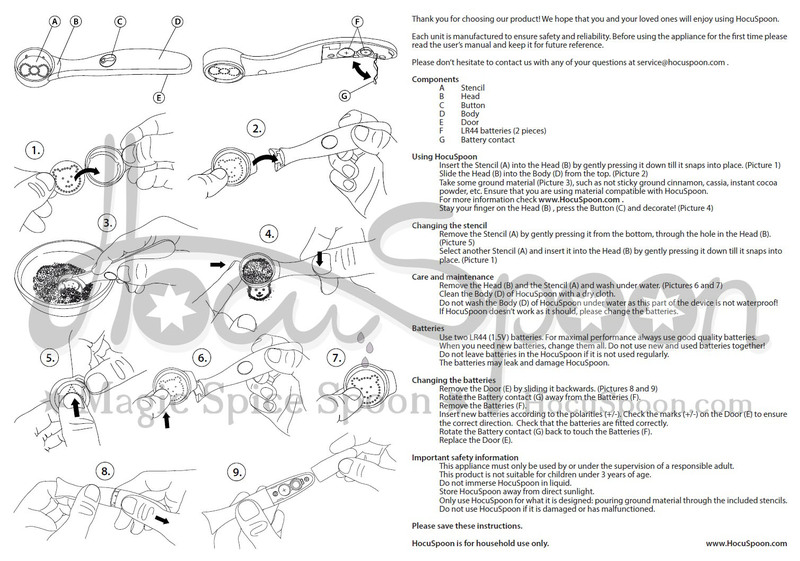 We design, manufacture, assemble and test every piece of the HocuSpoon in Hungary/Europe. 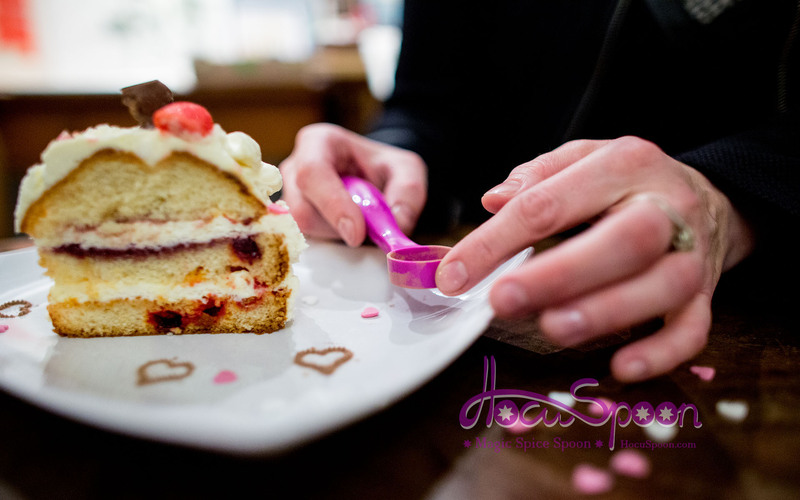 Made from strong durable materials that are safe for food use and the dishwasher the HocuSpoon is a solid, long lasting, and well made kitchen utensil that meets many safety and manufacturing standards. 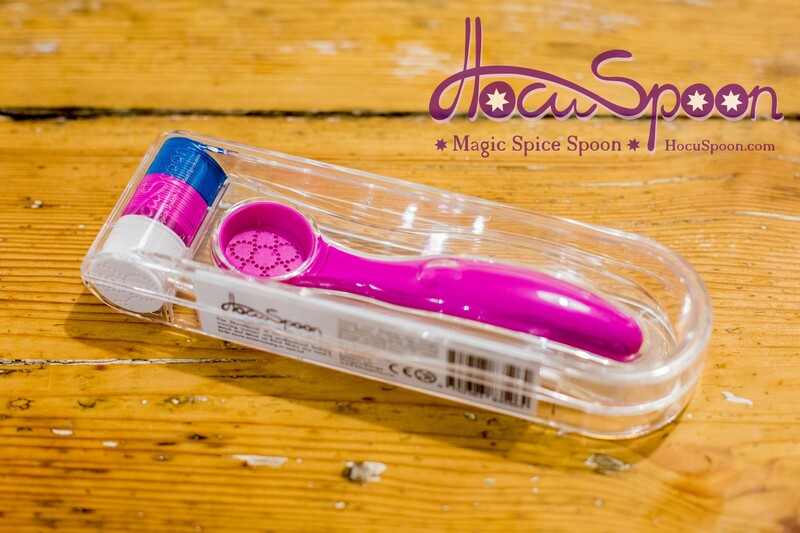 HocuSpoon is 100% made in Europe. We always ship from Europe.